Cuts are part of Microsoft’s effort to integrate the Nokia business and are expected to have a limited impact on Irish operations. MICROSOFT HAS ANNOUNCED plans to cut up to 18,000 jobs in its global workforce over the next year as it works to integrate the Nokia business it bought earlier in 2014. Microsoft agreed a €5.4 billion deal to acquire Nokia back in April. The company employs around 2,000 people in Ireland, and the cuts announced today are understood to have a limited impact on its Irish workforce. It recently announced the establishment of a new Dublin headquarters and the recruitment of another 200 staff. The company’s employee headcount rose from around 99,000 before the Nokia deal to around 127,000 last month; the cuts represent a 14% drop in the company’s workforce. It also said it anticipates charges of $1.1 billion to $1.6 billion over the next four quarters, which includes $750 million to $800 million for severance and related benefit costs. “It’s important to note that while we are eliminating roles in some areas, we are adding roles in certain other strategic areas,” Nadella added. 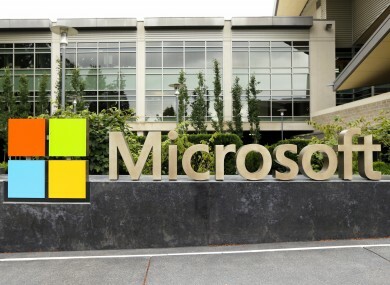 Email “Microsoft announces 18,000 job cuts in global workforce”. Feedback on “Microsoft announces 18,000 job cuts in global workforce”.